Today is one of those days where I don’t have to work while almost everything else is open in Stockholm. I had planned to do a short day trip to Uppsala. I even had a café to visit, thanks to a kind recommendation from Sarah. However, the weather wasn’t very nice so I decided to postpone the visit to Uppsala to Friday. I didn’t know where I would go when I walked out of my apartment this morning. 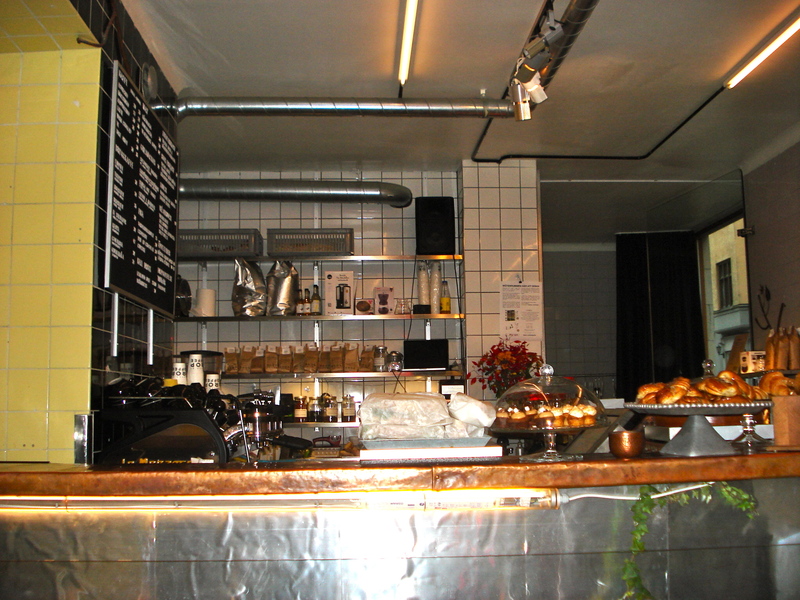 So many nice cafés to explore in my area around Mariatorget or on Kungsholmen (on my way to a New Year’s Eve party on Saturday night I noted quite a few cafés that will soon be visited). And then I remembered Coffice! 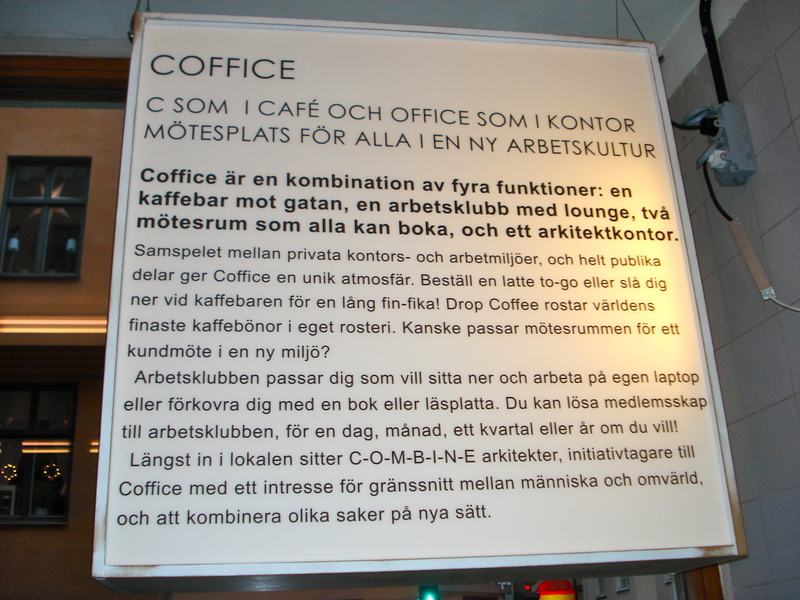 Coffice is yet another reason why I love Stockholm. This place is really cool. It combines many things in the same place: a) a café, b) a “club for workers”, c) meeting rooms, and d) an architect’s office. If you speak Swedish, the sign below explains it all! 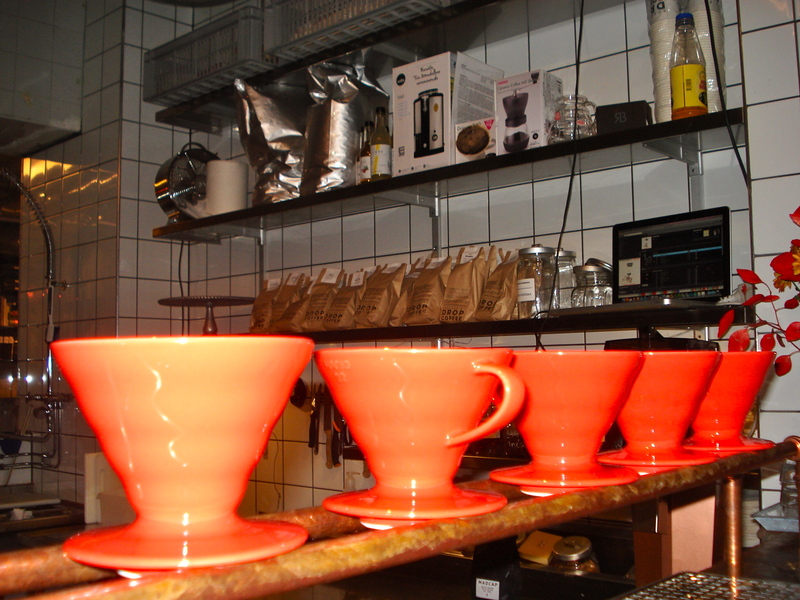 A few weeks after I arrived in Stockholm, a very nice man pointed me to the best coffee in Sweden: Drop Coffee! 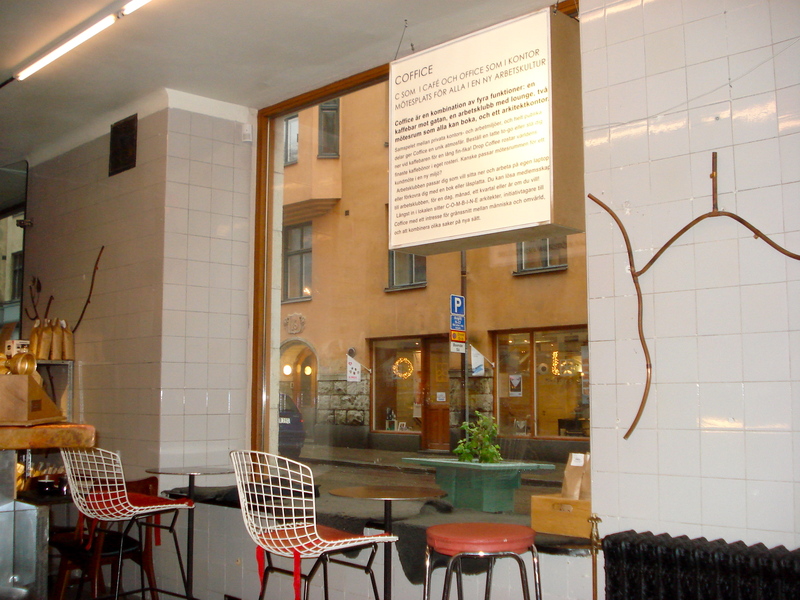 I have been there a few times now, despite my attempts not to go to the same cafés too often (if I really want to visit every cafés in Stockholm I will need some discipline…). That being said, I never feel guilty when I return to Drop Coffee because the coffee is great and the staff so friendly. Another nice thing about Coffice is that the coffee shop part is run by the guys from Drop Coffee. When I first visited Drop Coffee, I met Oskar and Alexander who told me about their passion for coffee. As I approached Coffice this morning, Oskar was stepping outside and he recognized me. He was very happy to tell me that the guy working this morning just got back from a semester in Canada. I could be assured that he would serve me the best coffee. I had a cup of brewed coffee from Guatemala! 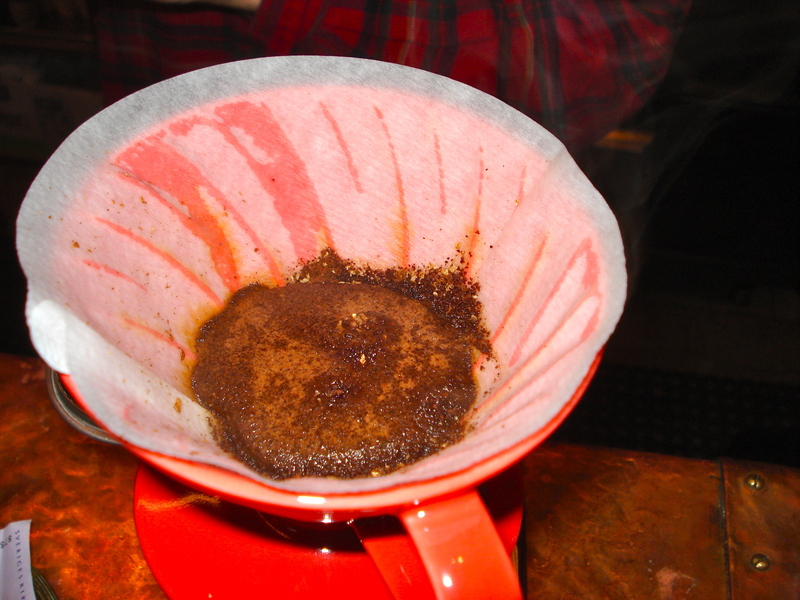 Once again, my friends from Drop Coffee were right: the coffee was excellent. 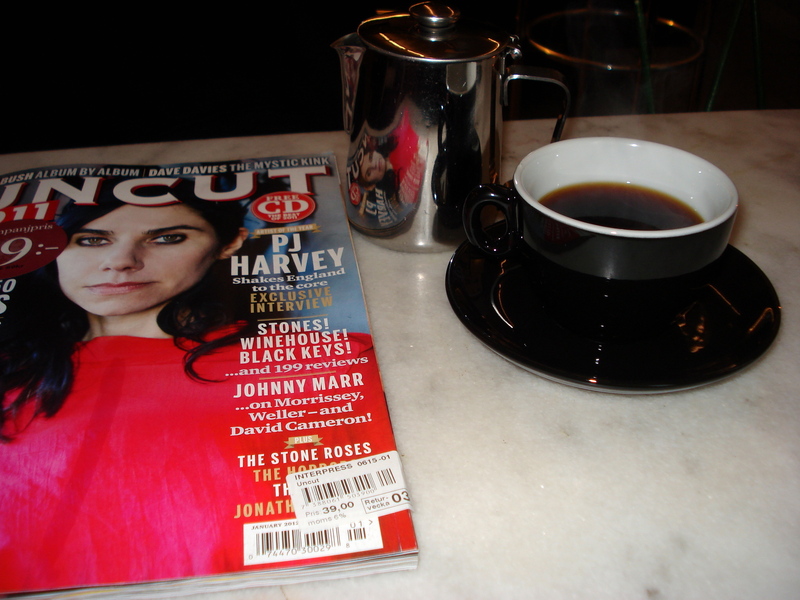 I spent some time there, reading the last edition of Uncut and building my New Year’s Day playlist on Spotify (yes PJ Harvey is on the list!). While the “working areas” of Coffice were quite busy this morning, the café part was fairly quiet. I was sitting by the window, with a nice view both on the counter and the working areas. I could have spent the whole day at Coffice but I had plans to meet friends in the afternoon. It was time to pay and leave. As I asked if I could take photos behind the counter, I was also offered to take some shots while they were making a brewed coffee. Did I tell you that coffee from Drop Coffee is excellent? And I am not the only on to say it. 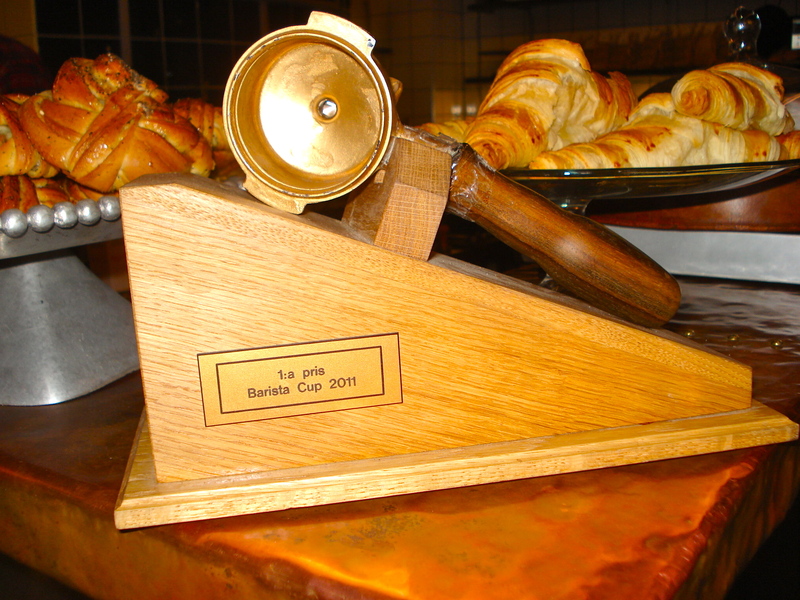 Alexander Ruas from Drop Coffee won the Barista Cup in 2011. Oskar finished 5th and Joanna reached the semifinals. Congratulations! 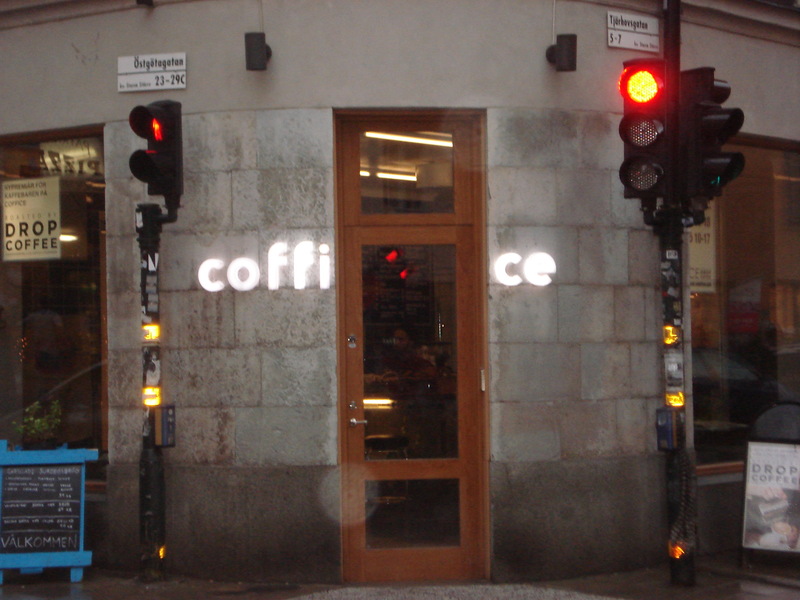 Coffice, Tjärhovsgatan 5, 116 21 Stockholm. This entry was posted in Coffee, Music, Serious, wifi. Bookmark the permalink. 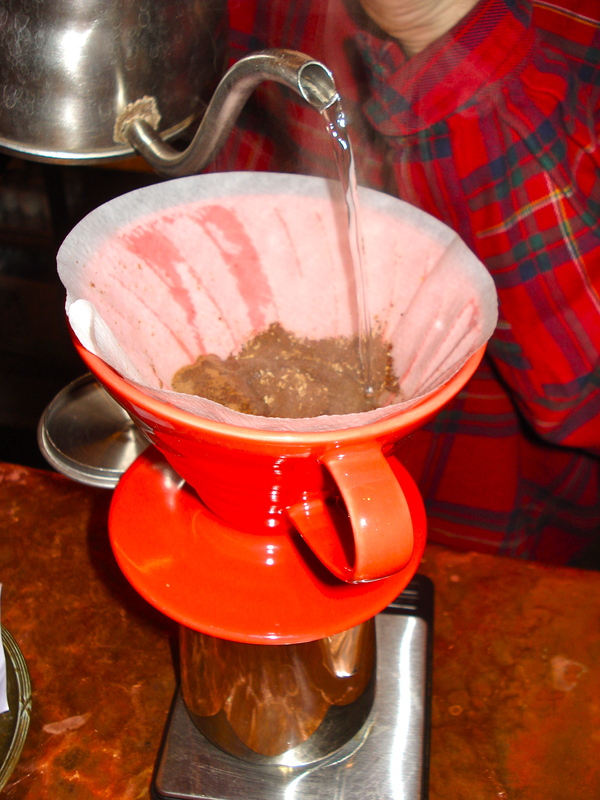 There are so many cool places for coffee in your city!! Sure beats the selection of 3 here in Ottawa! There are so many places that I am getting worried that 4 years might not be enough to visit all of them! 3? Really? Where? Just kidding! There are a few nice places in Ottawa but the problem is with all the big chains! I really like the look of that cafe. Are those red cups as big as they look? What’s on that cake stand looks pretty tasty too! Coffice is a really nice café. And the red cups are quite big but they aren’t really cups. They are porcelain filters for the brewed coffee. The ones you see on the photos are used to serve 2 cups.